The Nicaraguan people love to decorate for Christmas! Everywhere you look you find Nativity Scenes (not so much Santa Claus!) The one pictured above is in Granada&apos;s Cathedral. One of our family projects has been to visit the outlying communities and deliver small, wooden mangers to the houses. Those who receive a manger commit to praying a novena (9 days of special prayers) in preparation for Jesus&apos; coming at Christmas. The open manger is a symbol of the desire of the hearts of those in the household to receive Jesus anew this Christmas. As we went from house to house blessing the mangers, Ben, Rachel and Rebecca led the families in special Christmas music. You can listen in by clicking on the video. You may even recognize the tune! 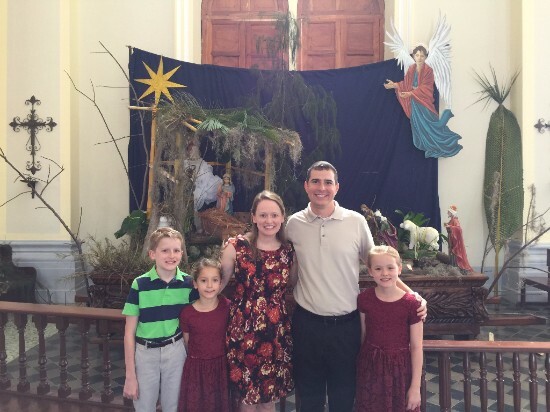 On December 7th, Rebecca received her first Holy Communion here in Granada. It was a wonderful day of celebration. 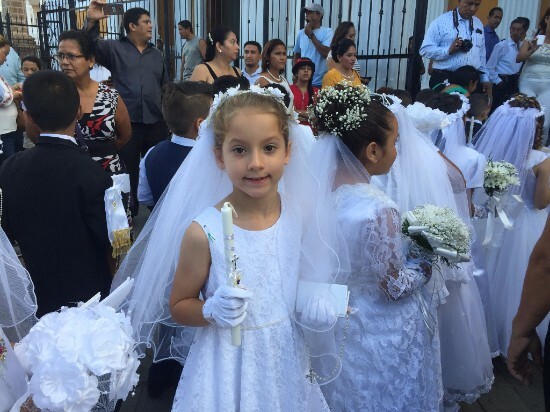 Rebecca&apos;s grandparents traveled in from College Station to be with her on her special day, which included parading through the streets of Granada! The children thoroughly enjoyed the visit of Archbishop Gregory Aymond from New Orleans. 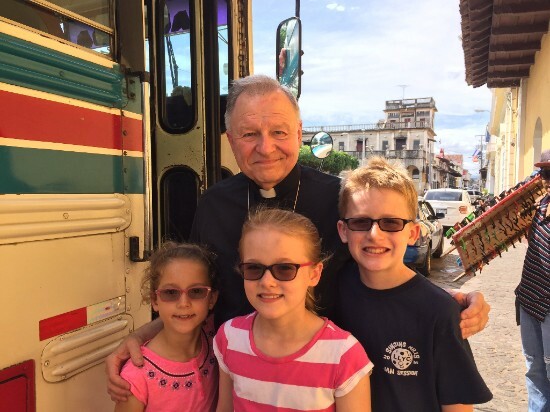 He was here to dedicate homes that seminarians from New Orleans were helping to construct for vulnerable families living on the fringes of Granada. He was so encouraging to the children in their role as missionaries! 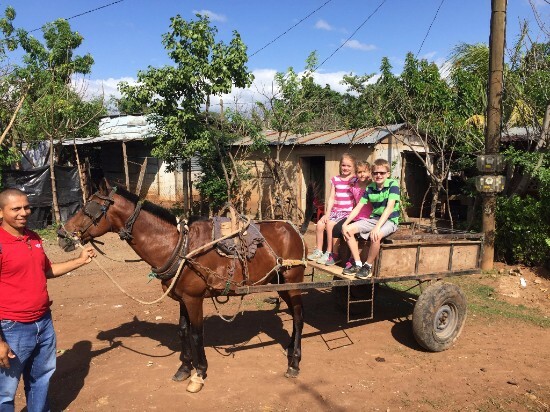 Our kids got to check out the horse carriage of our proud "campesino" friend Mario Mercado. So often, the most vulnerable live in the areas most difficult to access. Many of the areas in which we serve are not accessible unless you walk, take a horse or have a 4 wheel drive with high clearance. As we wrap up 2016, we once again want to thank each of you for your support of our missionary efforts, especially through your sacrificial gifts that made possible the purchase of a 4X4 vehicle. We are happy to report that we are putting the vehicle to good use, although the kids often think it would be more fun to ride on Mario&apos;s carriage! 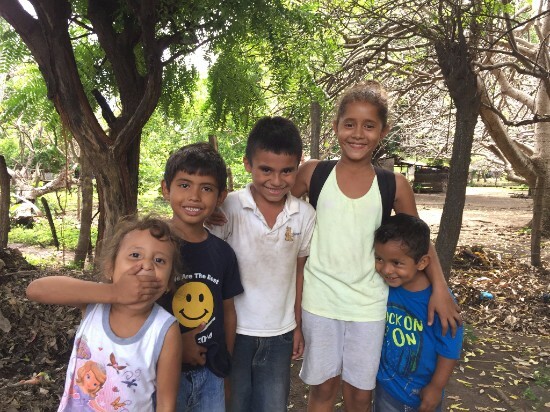 Someone recently asked us, what has been the most difficult adjustment to life in Nicaragua? Here, we often encounter human suffering at levels difficult to process . 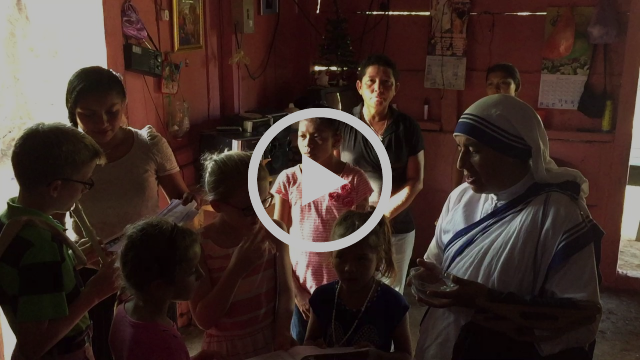 Recently, we traveled out with the Missionaries of Charity to a very remote community built into the foothills of a volcano. As we arrived, a young girl, mute and deaf came immediately up to us. Although she couldn&apos;t speak, her face told us that something was very wrong. She had suffered some physical abuse and used hand signs to convey what had taken place. Moreover, she had an infected tooth that had developed into an incredible abscess, resulting in a high fever. We had much on our agenda for that day, but most of it was scrapped in order to transport this young lady to the hospital and address the infection. There are so many stories like this, that we often think of how Jesus reached out to meet both the physical and spiritual needs of those he encountered. We try our best to do the good we can and not lose hope as we see firsthand the conditions that the majority of the world lives in. Despite the circumstances, we often see joy and resilience in the people we encounter. We are happy to report that the young lady we met that day recovered from her infection and is doing much better now! Here are some members of her community that radiate the joy and gratitude they have for our visit that day. We live in a nice home in Central Granada, but recently on the way back home, all of us had to step around a drug user who had passed out in the middle of the sidewalk. Rebecca asked us, "this is what happens when you use drugs?" Her eyes told us that this teachable moment will go further than any lectures we can give regarding drug use. Today, on Christmas Eve, Ben, Rachel and Rebecca performed a series of small Christmas concerts for the residents at a local nursing home where we serve. 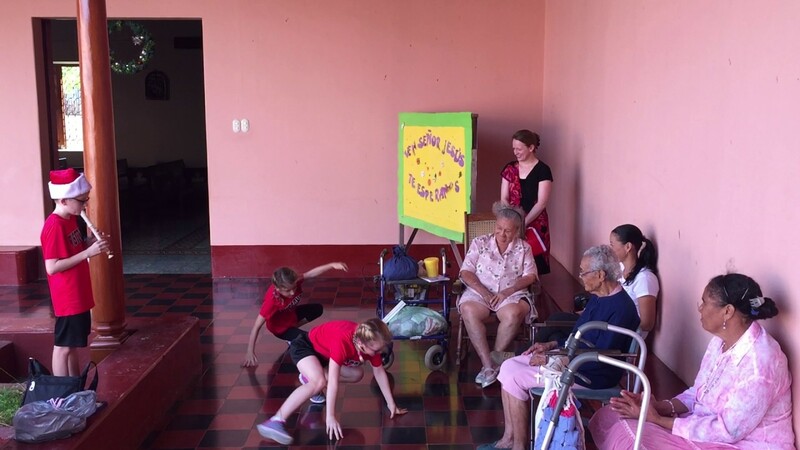 If you are curious, click on the above video to hear Feliz Navidad, complete with an impromptu break dancing routine - which seemed to be a crowd favorite! 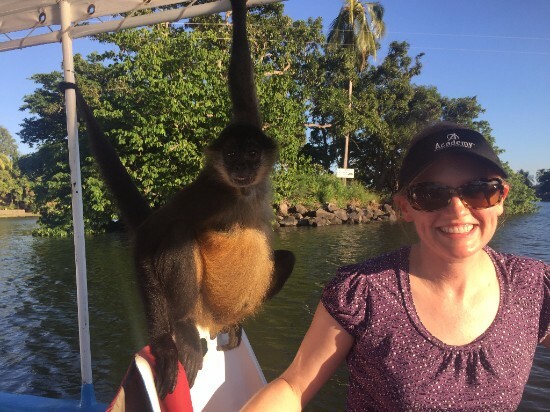 And may you always find a little time to MONKEY around! Thank you for your continued prayers, love and support!